The IABM Design & Innovation Awards are some of the most prestigious in the technology industry. With a completely independent judging panel comprised of over 40 technology specialists, the quality of entries each year is very high. This is why we are extremely pleased to announce the Nevion has been shortlisted for an IABM Design & Innovation Award 2017! Our work with Norwegian broadcaster TV 2 to deliver an IP-based distributed production solution has been nominated for the ‘project, event or alternative product/service’ category, and we couldn’t be more excited. To summarize the project itself: In 2016, TV 2 had made plans to move into two new production facilities in Bergen and Oslo, Norway, but wanted to ensure both facilities were based around IP infrastructures. On top of this, they wanted to use IP to connect both facilities together for maximized efficiency. Working closely with TV 2, we created and implemented a unique IP-based software defined network (SDN) solution to provider inter- and intra-facility media transport across both sites, which has revolutionized how the broadcaster operates. 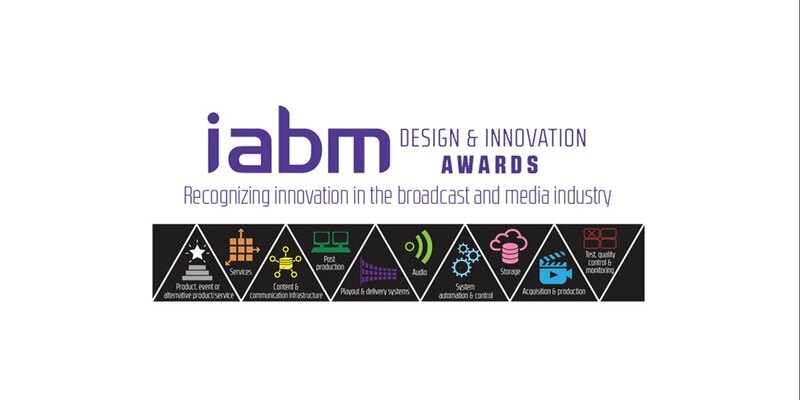 Following this great news, we will be attending the IABM Design & Innovation Awards 2017 ceremony, which is held during IBC on Saturday 16 September. We can’t wait to sit alongside all of the other finalists on the big night, and we’ve got all our fingers crossed that we leave with an award in-hand!